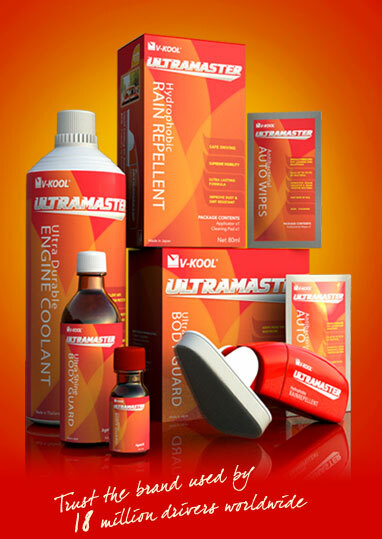 ULTRAMASTER™, brought to you by V-KOOL®, is yet another revolutionary range of auto care products which are carefully engineered to deliver extreme protection and enhance durability, much like V-KOOL®’s climate control coatings where technological innovation meets market and environmental needs. Eastman Chemical Company or its subsidiaries. All other trademarks are the property of their respective owners.